As someone who left a tenured position in academic science, I completely understood Baker’s perspective. “Women on average leave academia before reaching the ranks of associate and full professor. While many studies used to use the “leaky pipeline” analogy to describe this shift, it’s now well known that this neoliberal emphasis on individual agency tells only a small part of the story. As Baker notes, the ways in which universities are structured — the “two-body problem” of married academics; tenure and promotion evaluations that prioritize research over teaching and service (which women are disproportionately assigned); limited provisions for maternity leave; et cetera — make it far more likely that women will leave academia than their male counterparts. 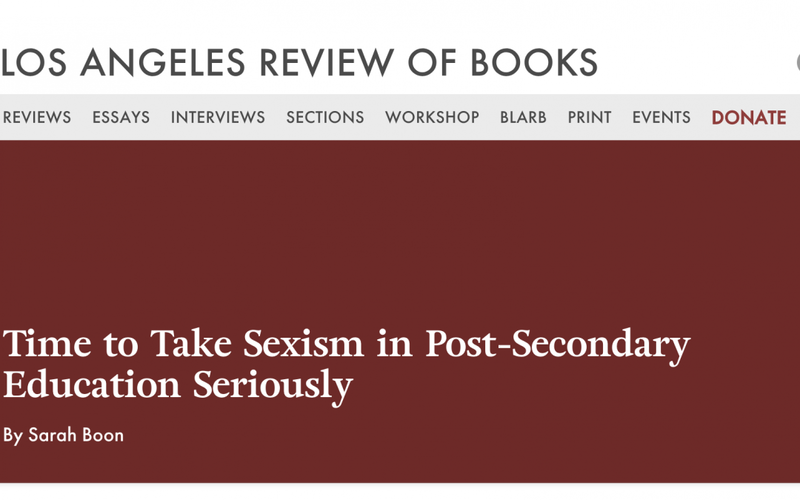 Read Boon’s full review on the LARB website.